Negotiating a Partnership Agreement? Here are some tips to consider to ensure the protection of you and your business. A Partnership Agreement is a legal agreement between two or more parties. From profit sharing, dispute resolution and capital contribution these agreements set out the relationship between partners and are vital to the protection of the interests of you and your partner. The process of negotiation is key to ensuring you achieve what you want from the partnership agreement. Here are some tips to consider. Already completed the negotiations? You can start creating your Partnership Agreement now. Read Things to Consider when Drafting a Partnership Agreement, to learn more. Goal Setting – Put the Business First. Negotiation of goals will determine the future of the partnership and the business. It is important to ensure that the partner(s) you are going into partnership with share similar goals. You want to make sure that the goals of everyone involved are in line with the best interests of the business. Make sure that you come to a decision which is balanced and meets the needs of all partners. Detail oriented content makes all the difference. It is important to remain clear and thorough throughout the negotiation process, to protect your best interests and avoid any misconstrued ideas in the future. Remember to always keep a detailed chronology of what disclosures were made and to whom they were made. Maintain complete notes of your discussions and keep everything your potential partner gives you in original form. Enter the negotiation process knowing exactly what you want. Be prepared by thinking through alternatives to the ideal outcome and consider points of flexibility. Contemplate any ‘Plan B’ alternatives and their consequences before you start to negotiate; even evaluate your partner’s options and anticipate your partner’s needs. A Heads of Agreement is a non-legally binding document that records the proposed terms during the negotiation process. It is an effective precursor to a legally binding document, and is only enforceable when it is adopted into a parent contract and subsequently agreed on. 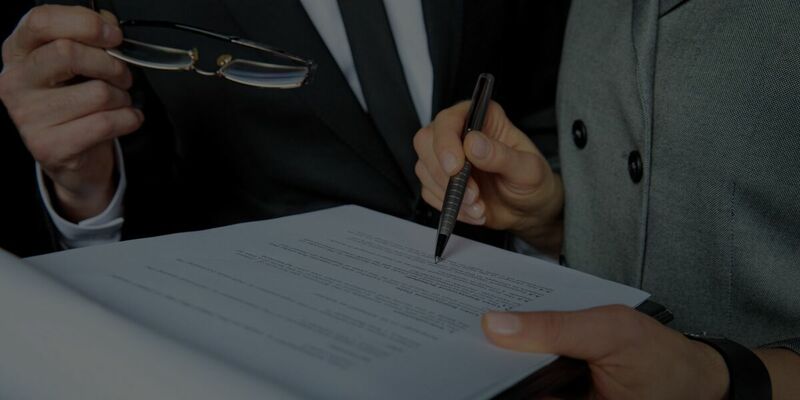 You may want to use a Heads of Agreement to document the established broad terms of your negotiation process, before getting into the explicit details of a contract. Start drafting a Heads of Agreement here. You’re thinking of bringing someone on to form a new partnership, but what if it doesn’t work out as planned? During the negotiation process there may be scientific data, software development information or trade secrets that you need to protect. It is therefore important that your information remains yours. Protect your intellectual property with a Non-Disclosure Agreement. What exact information is to be confidential and how it must be handled. Time limits and purposes for which this information can be used. The process for enforcing this agreement. You can create your own Non-Disclosure Agreement. Allocation of profit and losses. Partners by definition share the profits and losses from the partnership. If the partners contribution are not equal, the distribution may be in proportion to their relative ownership shares. Depending on the Partnership Agreement, the share of profits and losses can be varied. For instance, Partner X may receive 80% of profits and 20% of losses in 2015, while in 2016, that same partner may receive 20% of the profits and 80% of the losses. These arrangements should be clearly documented and established prior to any activity. It is important to note that partners are taxed independently, and this must be considered during the negotiation process. Partners cannot allocate tax items in a manner inconsistent with allocations of the corresponding items, i.e – if you reap the benefits of the allocation, you are taxed accordingly. The Australian Tax Office follows guidelines outlined in the Income Tax Assessment Act 1936, specifically Part IVA, which is a general anti-avoidance provision applying to schemes motivated by tax benefits. It is important to note that these guidelines apply only to income earned mainly as a result Partner X’s personal efforts or skills, not income generated by assets of employees of the business. Whether a partner derives practice income depends entirely on the circumstance and a close examination of contractual relationships and reflected in the partnership agreement. It is therefore important that the allocation of profit and losses are discussed during the negotiation process. Make sure you have clear specific reasons for your position. Large corporates would never rush into agreements without consulting their lawyers so why should you. Consider hiring experienced council that can review your options for you and guide your negotiation process.